I posted this last Christmas, but I love the recipe, so I figured I’d post it again this year. My story The Healing Power of Eggnog deals with a family torn apart by the mishandling of their son Will’s coming out, and their attempts to patch things up years later. Will’s mother, Mrs. Sutherland, always does Christmas up big, with homemade cookies, cakes, pies, and everything else imaginable. And of course, she always makes up a batch of quite potent eggnog. As much as she loves eggnog made with raw eggs, she really prefers it to be cooked. We tend to associate cooked eggnog with the thick, syrupy eggnog bought in stores, but homemade eggnog isn’t nearly as heavy, and its sweetness can be controlled by the chef. At it’s heart, it’s a custard, made from egg yolks, milk, and sugar—but drinkable! You can cook this in a heavy saucepan directly on the burner, but I prefer a double boiler, or placing the saucepan in a slightly larger pan with inch or so of water in it. This distributes the heat of the burner better, so you don’t have a hot spot where the nog starts to burn before it’s cooked. Prepare a large pan or bowl of cold water you can set the pan you’re cooking into, when the eggnog is done on the stove. Separate the egg yolks and place them in the double boiler, along with the sugar. Whisk this together. Then add 2 cups of the milk. The tricky part about cooked eggnog is that it has to be stirred or whisked constantly while you bring the temperature up to the point where the hot custard coats the spoon, but not beyond. This takes fifteen or twenty minutes, but you really just have to keep a close eye on it. If you cook it too long, the egg starts to separate out of the liquid and this gives it a grainy feel. It also works to use a cooking thermometer. In that case, cook until the temperature reaches 160 degrees. If necessary, you can strain it to remove any large bits of cooked egg. Immediately mix in the remaining milk or whipping cream, and then set the pan into the bowl of cold water. Continue stirring until the eggnog is cool. Add the vanilla extract and sprinkle in nutmeg to taste. Alcohol: The alcohol mix is an art form. A good basic mix is half rum and half bourbon (Southern Comfort), which produces a mellower mix than just plain rum. Using Irish whiskey in place of the Southern Comfort is a little more harsh, and of course a good scotch adds a distinctive—and strong—flavor. Mrs. Sutherland also likes to add a splash of cognac, but not a lot. 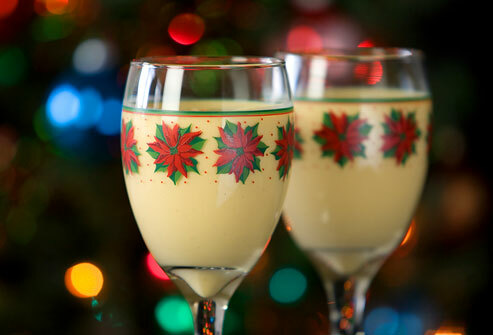 Overall, a cup of alcohol mixed into four cups of eggnog produces a mix with a bit of a bite, but not so much alcohol that the eggnog is overwhelmed by it. But of course that’s a matter of taste. Will Sutherland hasn’t been home to see his parents in four years—not since they reacted badly when he came out. This Christmas, he’s finally worked up the courage to go home, where he’s surprised to find they’ve taken in a boarder. 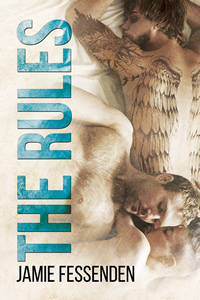 Ryan Bennett is just a couple years younger than Will, cute, sweet… and openly gay. 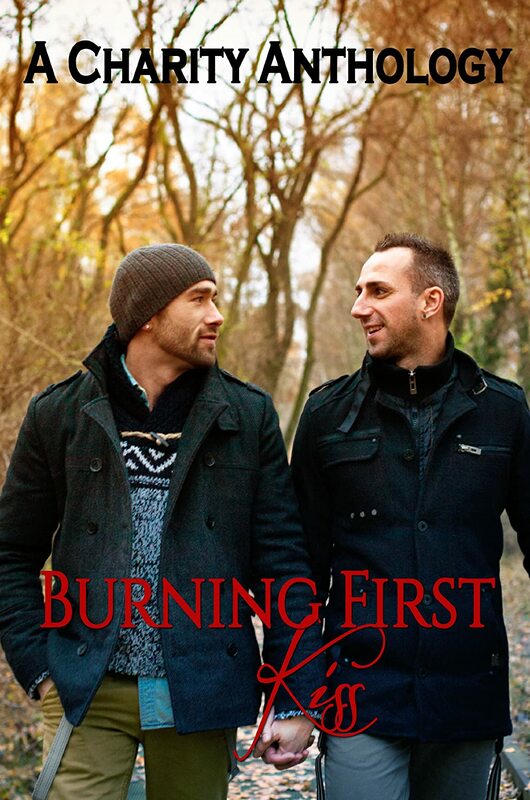 As Will deals with his jealousy of the man who’s been receiving the love and acceptance he was denied, Ryan finds himself falling for Will’s brooding good looks. But Ryan also suspects the Sutherlands may be using him as a pawn in their long-standing conflict with their son. Will this Christmas finally tear the family apart, or is there a chance they can put their hurt and anger behind them? 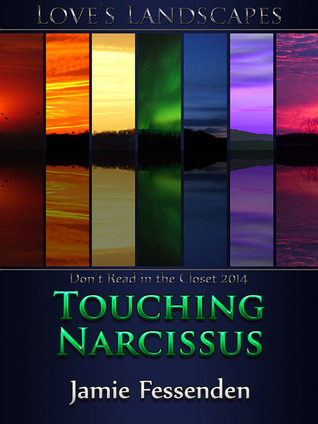 A story from the Dreamspinner Press 2013 Advent Calendar package “Heartwarming”. “The Healing Power of Eggnog” is out! My Christmas novella The Healing Power of Eggnog has been released today! I set this story in Plainfield, VT, where my first boyfriend lived for a while, when he was attending Goddard College. Though the title may sound like it’s a humorous story, it’s a bit more serious than that, dealing with a family trying to heal old wounds.